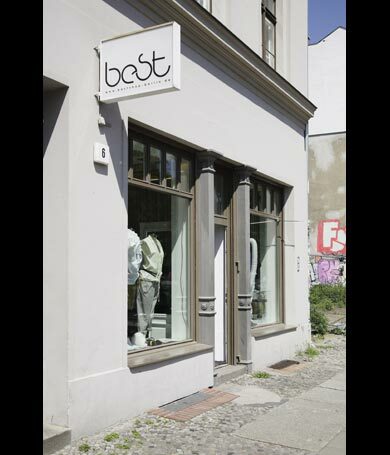 Best Shop, which is in Berlin, Mitte situated on Alte Schönhauser Str.6 showcases Avant Garde and independent fashion in a contemporary way. 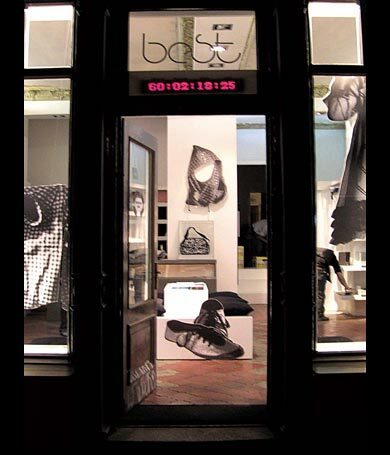 Best Shop, which recently celebrated its 4th year anniversary, decided to take a new lease on life in September 2007 after realising there was so much potential out there and just couldn’t fit it all in the shop. So in turn changed the usual way of Spring/Summer and Autumn/Winter collections into 60 day collections of obscure fashion labels that haven’t been shown in Berlin before. It can almost be seen as a gallery space as well as a shop that represents designers with new inspirations of cuts and materials but still wearable. 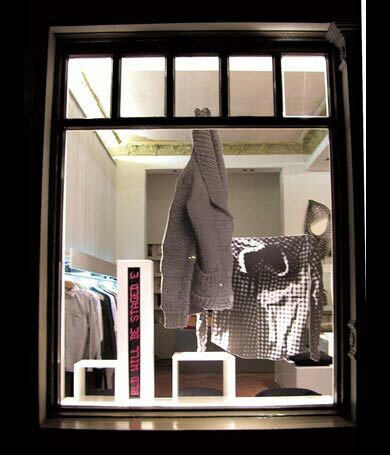 The concept will be staged by a countdown in the shop window, which will indicate by the second how long the current collections will still be available. Simultaneously the countdown runs also on this website. Besides the 60 day countdown collections which has featured designers such as Diana Brinks, Carin Wester, Rozalb De Mura and Camilla Staerk just to name a few it also stocks a few permanent collections including Carola Euler, ADD, Anntian, Atelier Elf and Henrik Vibskov who Best Shop was the first to stock in Germany. On top of all of that a collection of design books, magazines, rare cd’s and also some no name clothing labels. Going hand in hand is the bi-annual trade showroom ‘Ideal’ that was started in January 2006 (www.ideal-berlin.com) and after 5 showrooms in Berlin it is being moved to what Sumi Ha (owner) classifies as the new hub of fashion, Korea for the Seoul Fashion Week. Sumi says they have a great understanding of what we represent and also have a very good scene of their own. 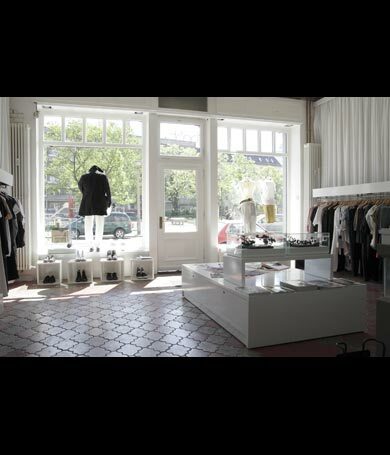 Best Shop is a meeting place for people that find what’s inspiring to us, inspiring to them. Everyone from journalist, photographers, stylist and of course the people that just have a love of fashion. The feedback from the designers from all parts of the world has been very positive as it is often difficult for young talents to find a sales platform. In the new Best Shop they can test their acceptance in the market and increase their profile.